Do you have a plan? I plan starting with the end or outcome. Would you buy an airline ticket without knowing the destination? Would you get on a bus, if you did not know where it was going? Many young people enter college for all the wrong reasons. A college degree opens up doors, but it is what you do with it that matters! Some day you will want to retire and you need to plan for it. I cannot imagine writing a book without having some idea about the ending. Yet, many people start careers and rarely think about their career or lives after their career. If you ask a young person who just graduated college or finished some other training, they will say that is forty (40) years from now. It is so far off; they do not think they have to do anything now about it. It as though they are talking about someone else. That someone else is old and is not on the radar. They are worried about student debt, relationships and finding their first home. Those are the facts as they see it. I remember seeing a scene in my favorite (Jim Thorpe All American) movie when Jim runs away from school. Mom wants Dad to beat him so he will go back to school. Instead Jim’s Dad asks him what he sees when he looks at the fields. After Jim responds, his Dad tells him it is a child’s perspective. He points out how school will help him do more. He assures his father that he will go back to school. No beating needed! A little adult guidance does wonders with young people. So as the (senior) adult in the room, I want to help you plan your end. A good beginning will mean a good ending. It is a little like a story. I start with a good title, then a beginning, middle and an ending. If you like it, you might come back and read a few more articles. Since I am offering information as well as a story, I want to influence your thinking. It wouldn’t hurt, if you took the advice and make your own action plan. Setting goals can take the vagary out of dreams and make them reality. I particularly like goals and a plan to achieve those dreams and fantasies. I recently wrote an article called, Progress Is Never a Straight Line, but you must plan to achieve success. Planning is an overused term! Is it planning when you think about something? When you set a goal, you need to develop a (action) plan to make it happen. A plan is a detailed proposal for doing or achieving something. 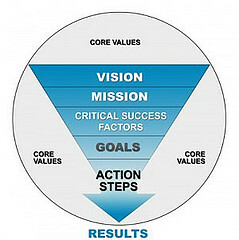 An action planis a sequence of steps or activities that must be taken or performed to succeed. A good action plan should have specific tasks, a time line and resource allocation. I would also add monitoring your progress and adjusting your effort to meet milestones or goals. Planning your end may be tomorrow or years from now. Thinking about the end is far off is a little like procrastinating. Procrastinating about retirement is easy because it is so far off or is it? Do you really want to work forty (40) years until you retire? If you are not thinking about this end (retirement) early, you will have to work forty (40) years until you retire, if at all. You should plan your retirement just like you plan your career! You did plan your career, didn’t you? Whether you went to college or some other post secondary training, you should have spent time thinking where this training was going to lead you. What were your expectations? What are you doing to get yourself ready for that promotion? Are you learning skills and gaining experience for the next opportunity? If you are not thinking about the future or the end, you will not achieve it! I think more people think about what will happen at the end of a date than how their career will end. I am reminded of a scene in The Graduate where an adult asks the main character Benjamin (Dustin Hoffman) what his plans were now that he graduated (Princeton). Benjamin didn’t know and the adult offered advice of one word “plastics”. You then see Benjamin floating in the pool on a raft. What a metaphor! He was floating in the pool aimlessly because he had no goals or plans. Are you Benjamin? Did you plan for retirement or are you planning for failure? Plan you end or you will be doomed to failure! Planning should be part of your daily effort to reach or achieve goals. It ranges from your education, career, goals, dreams, buying a home, personal finances, family and retirement. If you do not plan, how will you achieve your goals? Planning for the unexpected may mean having emergency savings, but retirement and your career can be planned. What are you doing? Do you have a plan? It’s hard, especially when you are first starting out, to plan ahead more than a year or two, mostly because the expected experiences are still abstract. As people actually experience different things in life and their jobs, it provides a bigger opportunity to frame decisions around real life. Thus, as you get older, it’s often easier to plan further ahead versus when you are younger. A one year plan is really in support of a budget. In many interviews, I was asked where I saw myself in 5 years? If I did not have a plan, I obviously did not think ahead. You may not be able to plan everything precisely, but you should have a plan for things you want to accomplish 5 0or 10 years from now. I’d like to respectfully disagree with you on one point. You mentioned college and picking the major and how it was important to pick a major that opened the right door for you. As an 18 year old, I really didn’t know what I ultimately wanted. The major I selected, engineering, was the one that opened the most doors for me. I didn’t have a specific plan for what I wanted, but I stuck with engineering because I knew it would open doors in areas of interest such as teaching, business, engineering, and the law. Ultimately, I ended up going to law school, which was not my plan from the beginning, but by picking something that opened many doors, I was able to find what made me happy. I think it is asking a lot of any 18 year old to know exactly what they will want in 4 years, let alone even further down the road. I realize it is a process, but planning makes you ask questions. The answers should help most people work toward their goal. Nothing is 100%! College hlps you prepare for multiple careers not just one.